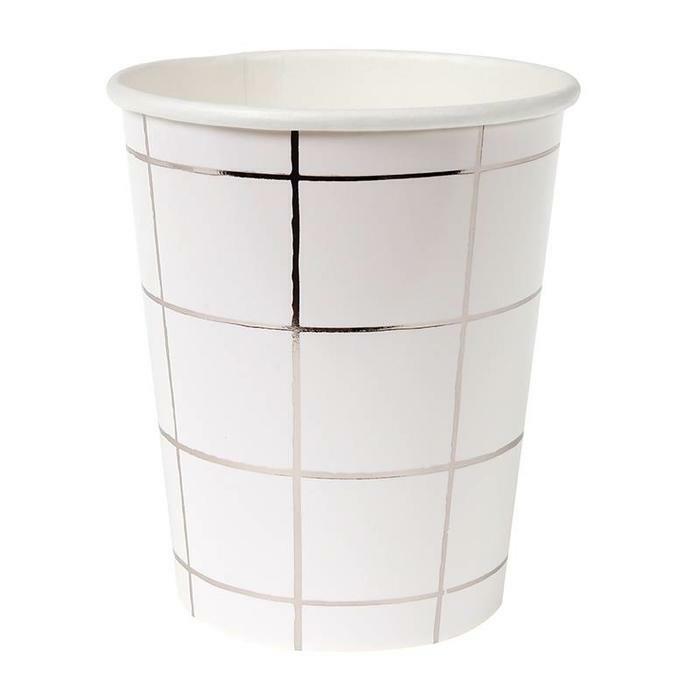 These stylish party cups are decorated with a grid pattern, embellished with shiny silver foil.Pack contains 8 hot or cold party cups.Cup size: 9oz. Pack size: 3 x 9 x 3 inches. These stylish party cups are decorated with a grid pattern, embellished with shiny silver foil.